State railway monopoly Ukrzaliznytsia, among the Ukrainian economy’s strategic enterprises, announced on Aug. 29 that it will return to the local bond market this year with a UAH 2 bln issue of corporate bonds to be underwritten by Concorde Capital investment company. The railway’s supervisory board determined that Concorde Capital will conduct the issue based on the results of a review of professional services on the local market that considered company prices and experience. The Ukrainian corporate bond market remains inactive amid a severe lack of reliable borrowers, despite high liquidity among potential investors and growing demand for quality debt instruments. For these reasons, the issue of Ukrzaliznytsia debt has all the potential to become a landmark on the corporate debt market after a long drought, as well as offer an impulse for its development. It will also improve the company’s finances. 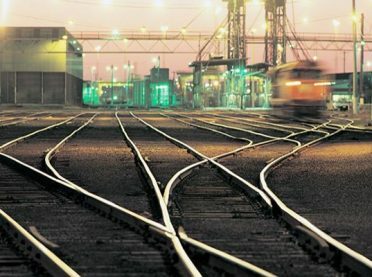 “This debt issue will be an important step for the railway industry’s financial recovery since it will boost liquidity, improve its credit portfolio, and as a result, minimize financial risks by avoiding additional losses from currency exchange rate fluctuations,” said Wojciech Balczun, Ukrzaliznytsia’s board chairman at the time of the decision. Ukrzaliznytsia, commonly known as UZ, is actively pursuing steps to financially revive the company and develop all its key spheres of activity, which has drawn positive reviews by international financial institutions and auditors. Ernst & Young’s 2016 report was first to eliminate doubts about UZ’s ability to conduct uninterrupted activity and expressed confidence in the company’s ability to improve its results and financial standing. In 2016, UZ boosted its financial results by 2.3 times to UAH 9.5 bln. Revenue grew to UAH 6.4 bln from 2015, EBITDA showed stable growth and its finances demonstrated sustainability. Concorde Capital has attracted more than USD 2.5 bln in investment since 2005 for industry leaders in metallurgy, automobiles, chemicals, oil & gas production and farming, earning its leading position on Ukraine’s investment market.